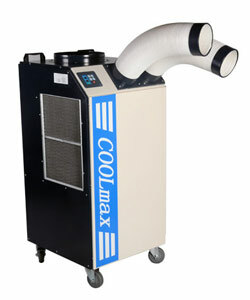 Coolmax portable AC is the best mobile spot air conditioner Available in Dubai and UAE market today. This Industrial Spot air conditioner can handle ambient temperature up to 55 degrees with 100% fresh air supply. Its unique design with first compressor condenser and evaporator arrangements making this air conditioner performance unbeatable in harsh conditions. 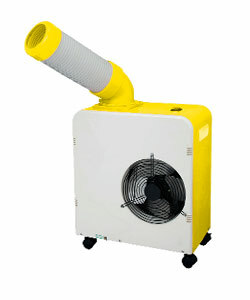 Can be used indoor and outdoor for permanent and temporary cooling applications and as spot cooler.